Genetic Dietary Restriction (GenDR) Expressions from Studies in Mammals dataset is an informational resource on genes related to dietary restriction (DR), the most powerful non-genetic intervention shown to extend lifespan in a wide range of model organisms. Specifically, this dataset includes a manually curated list of a conserved molecular signature of DR generated genes from a meta-analysis of DR-differentially expressed genes in mammals (“Gene expression”). Caloric restriction (CR) is the only nongenetic intervention known to delay aging in a wide range of model organism and has triggered the development of CR mimetics by the pharmaceutical industry. A meta-analysis of CR microarray studies in mammals was done to obtain a comprehensive picture of CR-induced changes and identify the most promising genes and functional categories for mediating the life-extending effects of CR. The results reveal a complex array of CR-induced changes and highlight key processes associated with CR, such as growth hormone signaling, lipid metabolism, and immune response. DR-essential genes are genes that when genetically manipulated (e.g. by loss-of-functions such as mutation, transposition, or knockdown, or by gain-of-function like overexpression of additional transgenes) interfere with the ability of DR to extend the lifespan. In the ideal case, a genetic alteration of a DR-essential gene does not change the lifespan on ad libitum (AL) but totally cancels out lifespan-extension by a restricted diet. 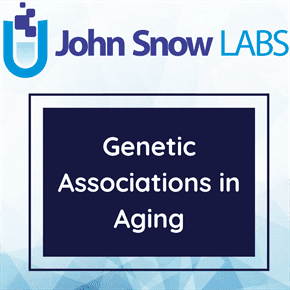 In such cases, their selection criteria follow the same logic behind GenAge but focus specifically on those genes which are necessary for the modulation of the aging process by diet (which are by definition not necessary also aging genes). A focus on genes from gene manipulation experiments where this dataset also originated means that the selection procedure for including genes related to DR will be more objective and unbiased, just like for GenAge. Nonetheless, as there are multiple different forms of DR regimens, most of which can be applied at several different levels of severity, genes were included if there is evidence that they interfere with at least one kind of DR regimen or strength of restriction. This includes by definition a shift in the response to the food concentration at which lifespan is extended (e.g. chico). Each record in GenDR on a DR-essential gene contains comments (i.e. observations) about literature-based evidence and the reason(s) for inferring an association with DR. References are also cited. In the case of conflicting reports for a given gene, the policy is to still include this gene in GenDR but mention all the conflicting studies. Specific for yeast, genes which are DR-essential in either a replicative or a chronological lifespan assay were included. Both the specific DR regimen and the aging model in which a gene was found to be essential for DR-lifespan extension is annotated in GenDR. The intention for using a broad definition of DR-essential genes, rather than a more specific one, is that this will make it possible to focus on mechanisms universal to DR and therefore more likely relevant to human aging. In a meta-analysis of DR using microarray profiles from mammals, a common transcriptional signature of DR-differential expressed genes was derived. These genes consistently change their expression level in multiple tissues, across multiple species, and between different experimental platforms. Individual genes can be searched, and for every gene, its enrichment in over- or under-expression is indicated. Understanding the genetic basis of DR is of great importance not only to the biology of aging but to understand how diet can influence aging, longevity, health and age-related diseases. Pharmaceutical interventions that target DR-associated genes are also an emerging area with huge potential.